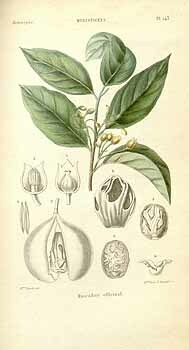 Ucuuba scientifically known as Virola surinamensis is a tall tree that produces a small red fruit. It is a native tree of the floodplains found throughout the Amazonian region, but it is found throughout Central and South America. The indigenous name of the tree means grease (ucu) and tree (yba). 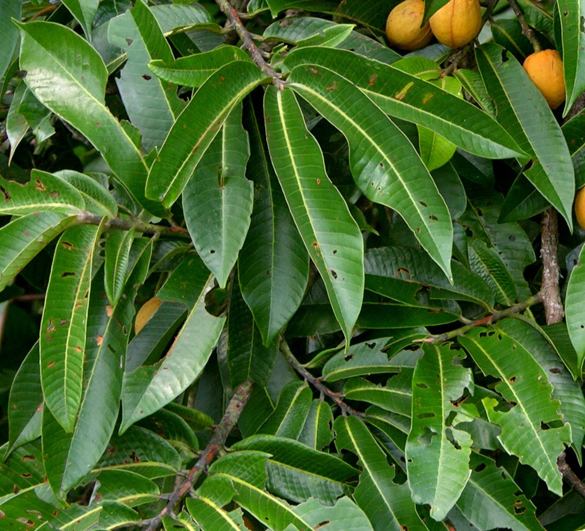 Apart from ucuuba it is also known as Baboonwood and Wild Nutmeg. It prefers flooded regions, and reaches a height of 25 to 35 m. A mature tree can produce between 30 to 50 kg of seeds per year. The seeds are so rich in fats that butter extract yields can reach 50% per kilo of seeds (dry weight). Ucuuba Butter is a natural butter, cold pressed from the seeds of the Ucuuba tree. It is not processed. The resulting butter is light brown, soft & dry in consistency. Ucuuba butter is ultra-rich in Lauric, Myristic and Palmitic acid – essential in healthy cell development, regulation of the immune system and maintenance of healthy skin and hair. 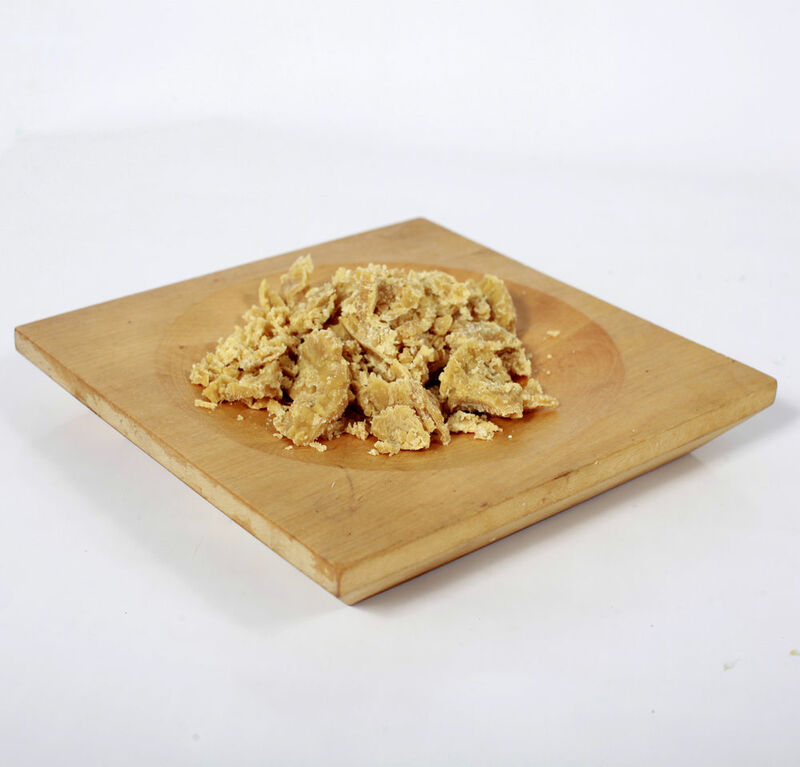 Ucuuba butter is also rich in vitamin A and C, and in unsaturated fatty acids. Ucuuba Butter is said to have anti-inflammatory and antiseptic properties and is ideal for treating acne, eczema and dry or irritated skin, effective for treating rheumatism, arthritis and skin ulcerations as well as to make soaps and aromatic candles. 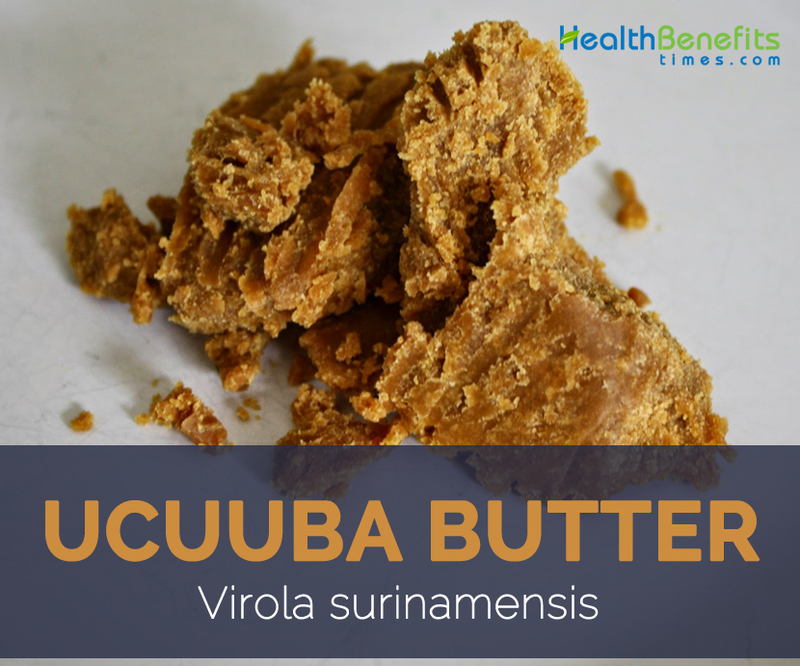 Apart from their amazing taste, Ucuhuba butter is a good source of nutrients, vitamins and minerals. Consuming 13.6 gram of Ucuhuba nut butter offers 13.6 g of Total Fat and 0.08 mg of Vitamin E.
With all the mentioned nutrients we all agree that ucuuba butter can have countless uses, particularly in the skin care industry. We will try and highlight a few uses because if we were to cover all the benefits in depth we will spend days and probably weeks attempting to cover them all. Its first use is to be used as an antiseptic and an anti-inflammatory which makes it the ideal product to treat acne, eczema and dry irritated skin. These are skin conditions that make the skin uncomfortable and result in bad skin conditions. To avoid having these skin conditions, it would be only advisable to use ucuuba butter to nourish and keep your skin healthy. This precious butter is also known for its anti-ageing properties. Due to its high concentration of fatty acids and fats, it is able to penetrate quickly through the skin and to help the skin maintain its moisture. When the skin maintains its moisture it remains tender and smooth while at the same time it remains relaxed. All these are some of the causes of skin ageing fast. If you incorporate ucuuba butter into your skin regimen then your skin will always look young and fresh. Ucuuba Butter is exceptionally rich in essential fatty acids and can be used to replenish tone and moisture to dry or mature skin. 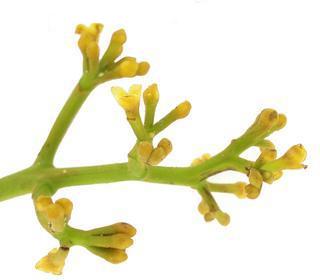 It is used to treat rheumatism, arthritis, colic, ulcers, and hemorrhoids. Ucuuba Butter is ideal for making pomades, creams, lotions, body butters and other skin-care formulations. Due to its dark brown color, this butter can be used to produce dark, richly colored soaps. Ucuuba Butter is said to have anti-inflammatory and antiseptic properties and is ideal for treating acne, eczema and dry or irritated skin. Tree was used to treat intestinal worms. Amazon Indians of Brazil, treat malaria with an inhalation of vapor obtained from leaves of Ucuuba. It’s also used as a ceremonial hallucinogenic and as snuff by other tribes. Wood is of excellent quality and is used for particleboard and laminated wood. Oil is used as an ingredient of candles and to burn for light, which spreads an aromatic odor. It is ideal for making pomades, creams, lotions, body butters and other skin-care formulations. It can be used as a natural coloring agent in soaps. 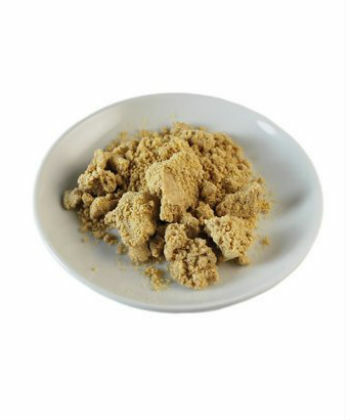 It is sometimes used in candles made with vegetable-based waxes. Ucuuba is a tall tree which produces small red fruit and is native to the floodplains found throughout the Amazonian region, but it is found throughout Central and South America. 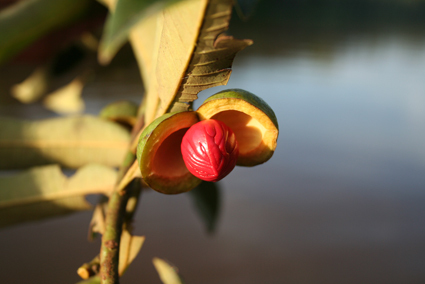 Its botanical name is Virola surinamensis and it is also called Baboonwood and Wild Nutmeg. It prefers flooded regions, and reaches a height of 25 to 35 m. A mature tree can produce between 30 to 50 kg of seeds per year. 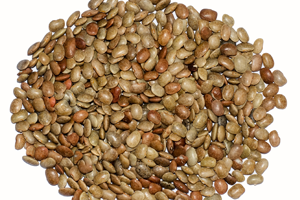 The seeds are so rich in fats that butter extract yields can reach 50% per kilo of seeds (dry weight). Butter is light brown, soft & dry in consistency. Ucuuba has anti-aging properties and can be used to replenish, tone and moisture dry and mature skin. It is also successful for treating rheumatism, arthritis and skin ulcerations as well as to make soaps and aromatic candles. Plant Size 25 to 35 m.
Myristica sebifera var. longifolia Lam. Virola carinata var. gracilis Warb. Calories 120 Kcal. Calories from Fat 122.4Kcal.